When I first came across VME, I knew it was love at first sight. What’s not to love? It’s an organization that spreads the word about what veterans are doing, hosts networking get-togethers and benefits us in so many other ways. Early on, I thought that maybe I would attend some networking events, play the long game of getting to know people, seeing if I would get recommended for something, helping them out if I could, etc., but then inspiration hit. I had recently finished my first book on how to land a creative writing career (aptly named “Creative Writing Career”), which included my advice on “breaking in,” as well as around 20 interviews with writers. I wanted a book like this for veterans, but on a larger scale -- everything creative. To my surprise, there didn’t seem to be any books out there like this. Sure, I was burned out from writing the other book and wanted to focus on my novels and screenwriting, but I knew this veteran-focused book needed to exist and, since nobody else was doing it, it was my duty to write the book. I met a fellow Marine veteran and VME member at the Writers Guild Foundation’s annual spring event on craft (a must attend! ), and realized that VME was the perfect place for me to find inspiring stories that would be perfect for my book. I interviewed some amazing individuals, including Jennifer Marshall, Trevor Scott, Brian McLaughlin, Christine Clayburg, Jackie Perez, Christopher Allen, Steven Murdzia, Max Thayer, Leo Cunningham, Ryan Curtis, Jennifer Brofer and Thomas Hennessy, all through VME. Other veterans then began approaching me to share their stories (I was blogging these interviews at the time, as I prepared the book). Through these stories, I was blown away by the hard work and determination these men and women had shown in their paths to turn their passions into careers. I was incredibly honored that they would share their stories with me and couldn’t wait to share their advice and wisdom with the world. So I wrote the book and I love it. Another veteran, Scott Levy, narrated the audiobook, and it came out better than I could have hoped. The feedback has touched me the same way that hearing these initial stories did because other veterans are being inspired to follow their dreams. This is what it should all be about -- in my mind -- veterans helping veterans. Whether it’s through inspiration or direct help, we are a network of individuals who have the power to help each other out, and I’d like to think organizations like VFT and books like mine are a call to action to do so. It shouldn’t come as a surprise that I couldn’t stop there. Since the publication of the book, titled “Military Veterans in Creative Careers,” I’ve partnered with Tom Morkes (Insurgent Publishing and the “In the Trenches” podcast) and Trevor Scott (an actor with such credits as “Enlisted” and “Days of Our Lives”), and we’re producing a podcast by the same name as the book that continues the story the book started. 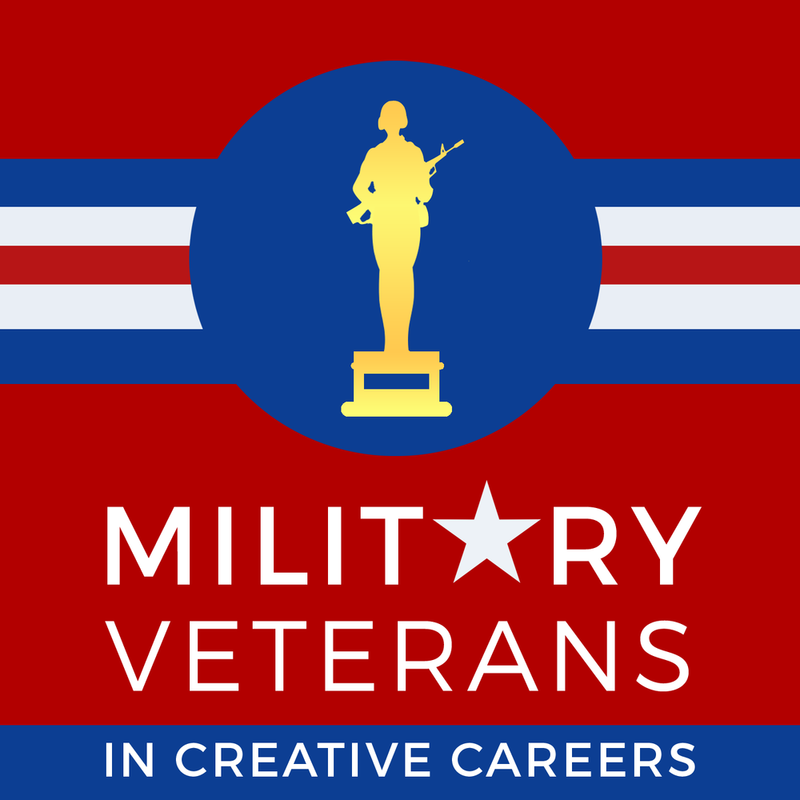 We’ve been sharing the stories of veterans who have landed in or are pursuing creative careers, their advice and our thoughts on how best to succeed in creative endeavors. We have already recorded some amazing guests on the podcast. On launch (this past Veterans Day), our four debut episodes feature Jennifer Marshall sharing her advice on acting and thoughts on VME; Juan Vaca of Telltale Games (“The Walking Dead,” “Tales from the Borderlands”) discussing film school at USC’s School of Cinematic Arts and breaking into the world of writing and designing games; and Greg Bishop and Brian Chung of Musa Media (Musa Military Entertainment Consulting, Musa Productions and the All Warrior Network) where they offer their advice on breaking into the entertainment industry and talk about military consulting for games and film. We have since interviewed writer Kel Symons (“Reyn” comics and Telltale’s “Game of Thrones”), actor James Bane (“The Brink”), and more. The list of amazing guests goes on. I’m happy to be a part of a project to share veterans’ -- and especially VMEers’ -- stories with the world so other aspiring actors, writers, etc. can see that achieving their dreams is a reality within reach. I can’t wait to hear all of the inspiring stories I know are out there waiting to be told. In the meantime, I hope you’ll keep making VME the wonderful organization that it is, and keep helping each other out. You all have already done wonders for me. Justin Sloan, a Marine Corps veteran, is a video game writer, novelist and screenwriter. He has written “Creative Writing Career,” “Creative Writing Career 2” and “Military Veterans in Creative Careers.” Justin studied writing at Johns Hopkins University and UCLA and works as an episodic game writer at Telltale Games.